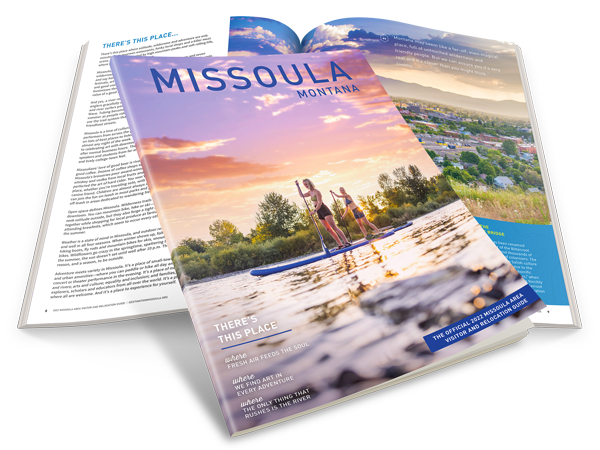 Mountain biking miles of exhilirating trails or cruising around town, you'll quickly discover why Missoula has been dubbed a gold level bike-friendly city. On any given day, you may well see more bikes parked and locked up than cars in downtown. Missoula's bicycle system includes more than 20 miles of bike lanes and routes on major streets. Head ten minutes from the heart of downtown and you can put yourself on a scenic slope surrounded by nothing but nature. Start at McCormick Park. If you don't have your own bike, you can rent a Blue Dasani Bike from Currents Aquatic Center for free. Hop on the trail and head East on the Riverfront Trail and follow it 1.5 miles to the University of Montana. Hang a left on the Madison Street Bridge to get on the North side of the trail. Head back west on the North side of the trail and take it to the Orange Street Bridge where you can cross back over the river to McCormick Park. The Bitterroot Trail is an approximately 50-mile paved path that connects Missoula and Hamilton – and the quaint towns along the way – while paralleling the rugged Bitterroot Mountains. You can experience all the charm, wonder, and adventure that Western Montana offers as you ride along this historic trail. At the Blue Mountain Recreation Area you'll find breathtaking views and a forest-fire lookout at road's end. The 4,900-acre area also features off-road trails for hikers, equestrians, bicyclists, people in wheelchairs and ATV enthusiasts. Branching off of the Southside of the riverfront walking trail, the Kim Williams Nature Trail is a great place to walk, run, bicycle or horseback ride. Named in honor of Missoula naturalist Kim Williams, the trail takes you through a 134-acre natural area of the Hellgate Canyon. Keep your eyes peeled for wildlife along the river. The Pattee Canyon Recreation Area has been a favorite Missoula recreation area for years. The 3,200-acre area has an abundance of ponderosa pines and a network of scenic foot, horse, bicycle and cross-country ski trails. The Rattlesnake National Recreation Area and Wilderness is a 60,000-acre wilderness complex to Missoula's north. The developed trails welcomes a variety of hiking, backpacking, horseback riding and bicycling opportunities. "I spend over 200 days a year on the road traveling to some of the coolest places in the world to race my mountain bike and all I can say is there is no place like home. When I need to recharge after a long trip, I hop on my bike and ride the Sheep Mountain loop, deep in the Rattlesnake Recreation Area, where I rarely see another soul. I get my morning caffeine fix at Black Coffee Roasting and a treat at Le Petit. After the ride, I like to re-hydrate at the Kettlehouse, get dinner at Caffè Dolce, and top off the stores with Big Dipper Ice Cream. 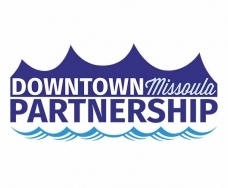 Missoula's combination of people, community, and recreation opportunity is unbeatable. There is a reason my friends and I refer to it as the Center of the Universe."